Dragon's Blood! Nature's Powerful Anti-Viral A pure natural resin extracted from the sangre de grado tree (Croton lechleri) which is also called "dragon's blood." 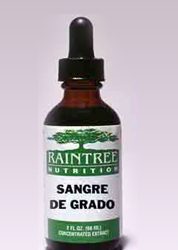 Sangre de grado resin is a storehouse of plant chemicals including proanthocyanidins (antioxidants), simple phenols, diterpenes, phytosterols, and biologically active alkaloids and lignans. In herbal medicine systems in South America, matico is quite well known and respected for wound healing as well a numerous other conditions. It is widely used as a remedy for all types of digestive disorders such as stomachaches, vomiting, dyspepsia, diarrhea, gastric ulcers, intestinal gas and even stomach cancer. 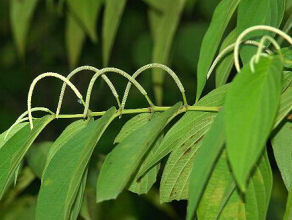 It is also considered an excellent genitourinary tonic and used for kidney stones, urinary tract infections, cystitis, urethritis, leucorrhea, vaginitis, and various venereal diseases such as gonorrhea and trichomonas. In addition, it is also employed for various upper respiratory conditions such as bronchitis, pulmonary hemorrhages, pleurisy, pneumonia, colds and flu, and tonsilitis and sore throats.